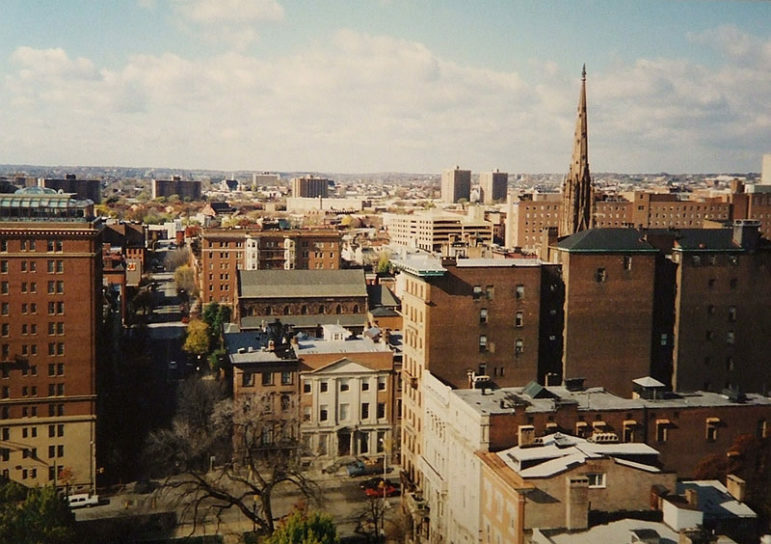 “Exploring the Core” of Baltimore: Does It Produce the Change It Hopes to Be? Even though it’s by far the largest (and only) independent city in what was once commonly known as “The Old Line State,” Baltimore does not have the cachet of its close neighbor. That doesn’t mean Charm City suffers from a lack of media attention. Far from it: the almost universally acclaimed HBO series The Wire was set and actually filmed there, employing several actors unknown outside local theatre. The Wire portrays Baltimore through a dark lens, one that, given the events of the last two years, might still be accurate. This op-ed piece in the Wire-critiqued Sun daily (the erstwhile employer of H. L. Mencken and The Wire co-creator David Simon) begs to differ. A prominent nonprofit CEO and an active community organizer provide examples of how Baltimore continues to not only survive but thrive. The boosters are fighting the naysayers, and often acquire large sums of money to do this. This is a largely admirable venture, but will it effect the change it seeks? That’s why the Central Baltimore Partnership is launching the “Explore the Core” campaign. Our vision, developed with community leaders, is to build on this area’s strengths—housing for all income levels, vibrant retail, cultural attractions, transportation options, rising schools—and bring them to the next level. Some find scrappy cities endearing, and embrace and indeed invest in projects that attempt to arrest long, steep patterns of decline. Others, however, categorize cities like Baltimore as crime-ridden cesspools covered in the cloak of corruption, which of course oversimplifies and ultimately denies the issues these cities face. It’s uplifting to see that some with power, money, and influence in Baltimore use their resources to improve The City That Reads, while attracting young professionals from the increasingly unaffordable national capital. At the same time, this gives rise to gentrification, with its attendant benefits and deficits for the long-time residents of many of these neighborhoods. Ideally, these projects create economic and cultural opportunities for all; sadly, that noble ambition does not always produce equitable results.